A new event is coming to Pokémon Go and gives players a chance at another Shiny Legendary Pokémon. Shiny Latios is finally coming to the popular mobile game in a special Raid beginning today. Similar to the Latias Raid event in late February, trainers will see the Psychic and Dragon-type Pokémon from the Hoenn region appear in Tier 5 Raids. If you’re looking to catch Latios this week, here’s all the information you’ll need, including start and end time, and the Pokémon you should bring into battle against it. 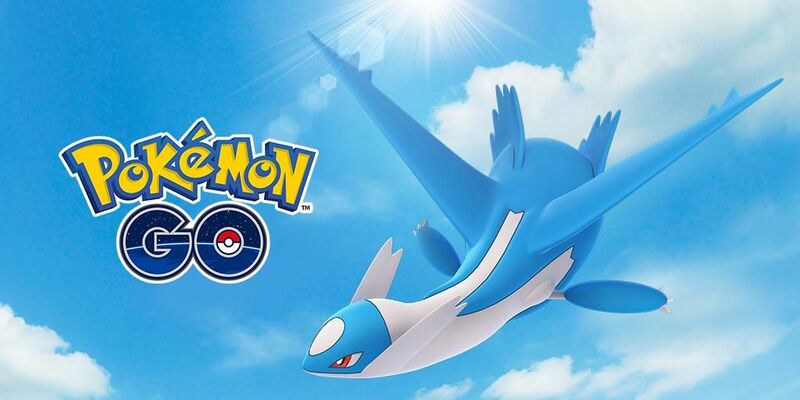 The Latios Raid event begins Monday, April 15 at 4 p.m. EDT and ends Monday, April 22 at 4 p.m. EDT. This event marks the first time Pokémon Go players will have a chance to catch Shiny Latios. Niantic confirmed that the Eon Pokémon will receive its Shiny variant during this new Raid event to give trainers more incentive to get out there and battle. When you battle Latios it won’t appear in its Shiny variant, you’ll have to defeat it first and in the catch step Shiny Latios will have a chance to appear. Shiny Latios changes from blue and white to green and white. As a Psychic and Dragon-type Pokémon, Latios is weak to Dragon, Ice, Bug, Fairy, Dark and Ghost-type attacks. It also resists Fighting, Psychic, Fire, Water, Electric and Grass-type attacks. If you have many of the previously released Dragon-type Legendary and Pseudo-Legendary Pokémon, you should take them into battle with Latios. Rayquaza, Salamence and Dragonite have a lot of HP and attack power to take out Latios quickly. Weavile’s high attack and speed make it a viable option in battle. I’s Dark and Ice-type attacks are equally damaging to Latios. If you have Pokémon like Gengar and Mewtwo that know the move, Shadow Ball they are also great options. Are you excited for the upcoming Latios event coming to Pokémon Go ? Which Pokémon are you going to take into battle? Let us know in the comments section below.